A few years ago friends came to stay a couple of nights on their way to Wanaka. They ended up forgoing the trip to Central Otago in favour of staying longer with us. It was one of those golden summers when days at the river a few kilometres from home were far more attractive than coping with holidaying hordes in more populous spots. 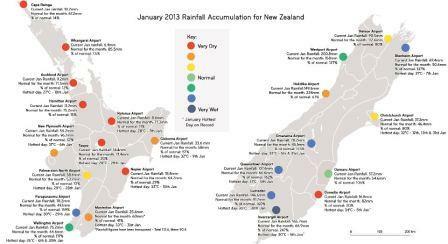 Not every summer is like that but the last few days have been good for holiday makers. We’ve had enough heat to enjoy the beaches or rivers but not too much to make other attractions too much of an effort. When our friends visited, nearly three decades ago, Oamaru wasn’t regarded as a holiday destination. Lonely Planet, which had just two pages on the town five years ago now gives it nine and has dubbed Oamaru the coolest town in New Zealand. An Explore Waitaki App will help you discover the district’s charms, find what’s where and how to get there. I have yet to download it so don’t know if it will take you to places the locals go to cool off when the weather cooperates. Rivers change and Gemmels Crossing where I spent many summer days as a child is no longer so good for swimming. But there are still good swimming holes further up the Kakanui River near Clifton Falls and the Waitaki River also has some great picnic and swimming spots. For those who prefer beaches, there’s Campbells Bay, All Day Bay and Moeraki. Oamaru and the Waitaki District hinterland have lots of other attractions. Oamaru Today is very good at highlighting things to see and do and I’m planning to write posts about the area over the next few days. You’re welcome to add your own ideas for holiday makers in North Otago of further afield. Were summers really hotter in the 1960s and 70s? Memory isn’t always reliable but when I look back I recall day after day of sunny weather. Almost every weekend from Labour weekend to Easter my family would pack a picnic and head to water. Sometimes it was All Day Bay, but more often we went to the river – Gemmell’s Crossing or Clifton Falls. Sometimes we’d have a mid-week bonus trip too, taking a picnic dinner to the river when Dad got home from work. The last couple of weeks have been just like that. It’s great harvest weather but, as always one farmer’s dream is another’s nightmare, and many are facing drought. while nothing beats water from the sky, irrigation ensures the grass grows when the weather doesn’t co-operate. That is a major change from when I was growing up. Then dry weather left the countryside parched and farmers with few options but to de-stock. Now, thanks to extensive irrigation a good deal of North Otago is still green and growing.